The Vancouver Whitecaps 2018 close season has had two defining events: signing Anthony Blondell from Monagas SC in late November, and sending their 2019 first round and a conditional 2020 second-round SuperDraft selection to New England Revolution for Kei Kamara. With Blondell and Kamara, Vancouver finally has both a second striker and a centre forward again, something they've been sorely lacking since the days of Camilo Sanvezzo and Kenny Miller. Not so fast. Before opening the roof on the 2018 campaign, Vancouver had one more piece of business to complete. Tim Parker wanted out. And New York wanted one of their own. So much in fact that they were willing to part with $500,000 in Targeted Allocation Money, or TAM, with $225,000 of it coming this year, and $275,000 in 2019, an international roster spot, and box-to-box midfielder Felipe. "Felipe has consistently proven to be one of the best box-to-box midfielders in Major League Soccer," said Whitecaps FC manager Carl Robinson. "He's fiercely competitive, very comfortable on the ball, and creative going forward. We firmly believe he's someone that will make the players around him better and we're delighted to add him to our group in the prime of his career." Having a disgruntled player in the squad, no matter how professional they might be, is never a good thing. So, the Whitecaps made the best of a bad situation. 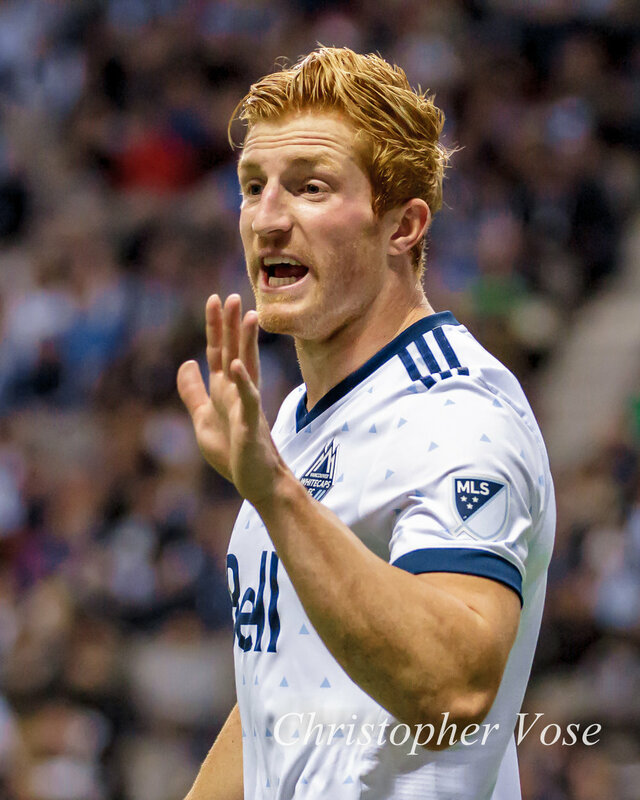 It will be painful to see Tim Parker suiting up in the red of New York at BC Place on August 18th, but it was a move the club felt had to be done. "As always, this decision was made in the best interest of our club in the short, medium, and long term," Robinson added. "We are thankful to Tim for his contributions over the last three seasons and wish him well moving forward." Whitecaps president Bob Lenarduzzi said the way "we looked at [it], if he was going to move, and we could become a better club as a result of moving him, then we would entertain that option. So we had conversations with a lot of different clubs." The jury is still out on whether or not the Whitecaps are better off for having sold a previously thought indispensible piece of the puzzle, but time will tell. For now, the 'Caps hierarchy are pretty upset at the way New York does business. "It is disappointing, because you wonder where the information comes from," Lenarduzzi added. "It wasn’t us, but I think when you get into dialogue with a player as high profile as Parker is, and more than two people know, then I think there's a good chance this stuff is going to come out." For New York, Parker is a dream addition, both on and off the pitch. Born in Hicksillve, Long Island, he went to St. John's University in Queens, and spent his summers in Brooklyn with the Long Island Rough Riders and Brooklyn Italians. For New York, he's as much a representative of local football as it gets. "Tim is an established [Major League] talent with a lot of the qualities we look for in our defenders," said New York Sporting Director Denis Hamlett. "When we started to evaluate options to bring in a centre back, Tim was the ideal candidate for us because of his physical tools, understanding of the game, and presence on the field. We are pleased to get him here and look forward to getting him on the field." "Tim is the type of defender we look for," added manager Jesse Marsch. "His [football] knowledge, athleticism, and one-on-one defending ability are qualities that fit with what we ask of our centre backs. I know he is glad to be coming home to New York, and we think he will thrive in our style of play." Hamlett had some good words for Felipe, the player the Whitecaps acquired along with the TAM, international spot, and the percentage of any sell on fee. "Felipe represented our club with passion every time he took the field. He is a respectable man [and was] a quality player for our club. We thank him for his contributions to the club, and wish him and his family all the best." "Felipe has been a big part of our team for the last three seasons," added Marsch. "His dedication to this team and club was at the highest level every day. I personally owe him so much for his commitment to this team. Here at [New York], we all wish him and his family great success in the future." So long and good luck, Tim. Many thanks for all the memories. And welcome to Vancouver Whitecaps FC, Felipe - we are looking forward to watching you at work.